The small conveyor belts are produced with anti-static PVC belt, is lightweight Conveyor Belt, which is widely used in the electronic production's assembly. The frame of Belt Conveyor Systems we used is aluminum, which is neat and beauty overlooks, which will be not covered with rust. Also we can equip with other function on the belt Conveyor Systems as you need, like blocks, sensors. The small Belt Conveyor systems are widely used for the transportation of chips between machines. The length and width of the small belt conveyor systems can be produced as your request. The small belt conveyor is produced with anti-static PVC belt, is lightweight conveyor belt, which is widely used in the electronic production's assembly. Looking for ideal Anti-static PVC Belt Manufacturer & supplier ? We have a wide selection at great prices to help you get creative. All the Small Conveyor Belts are quality guaranteed. 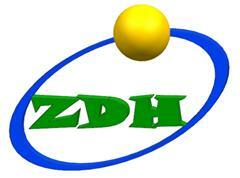 We are China Origin Factory of Lightweight Conveyor Belt. If you have any question, please feel free to contact us.